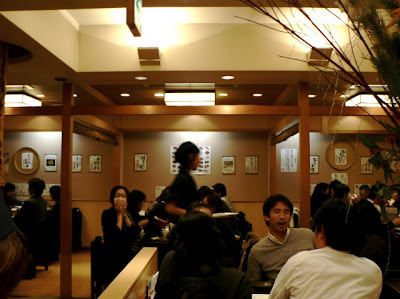 Sushi restaurants in Japan are an experience that you have to see to believe. The super trendy hip ones are full of super trendy young things and chefs in bandanas shouting a lot. The old fashioned traditional ones are full of old fashioned old things and chefs in bandanas shouting a lot. When you walk in the door about 30 people shout irrashimase at you, and the sensory overload just goes from there. I went to some super trendy hip sushi bar with a family friend in the Ginza district of Tokyo, and, still majorly suffering from upside-down jetlag, all I could do was go with the flow. Not being a huge fan of sashimi, I asked Ayumi to order less adventurous things off the menu, and she hid her disappointment well. I was so glad that this was delivered to the table next to us..
although I'm sure if I'd kept knocking back sake at the same rate as Ayumi then it would have been just dandy. 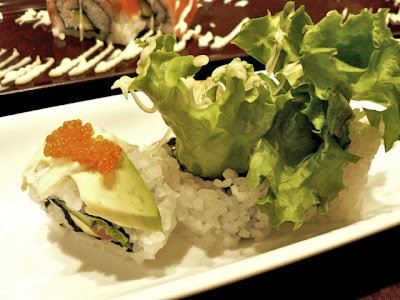 But actually, this post was supposed to be about something different, I was just setting the scene; trying to get you to understand that sushi in Japan is truly an art form, not just food. 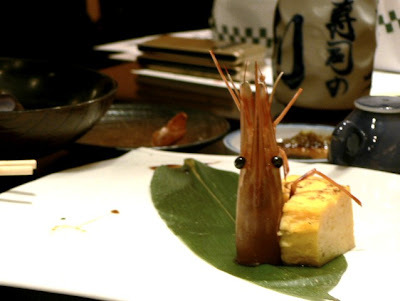 But there's another type of sushi, which we were introduced to by some other family friends. In Japan it's called "Viking Sushi", which sounds quite bizarre, especially when imagined in the Japanese accent: "Biking Sushi". The name comes from the association of buffet-style food with the smorgasbord, and that in turn with the Vikings. It's Japanese logic. 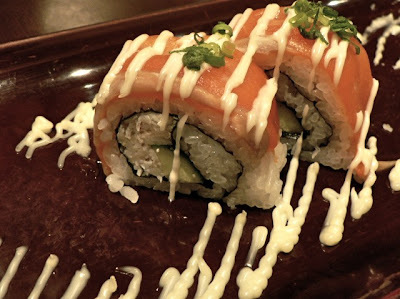 Simply put, Viking sushi is the type you eat at home casually with your family, all the ingredients are there and you can choose what you want, like a buffet. 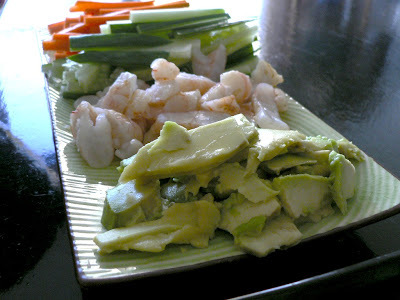 It's not as pretty as sushi-as-art, but it's just as tasty, and really easy to make at home. PS. 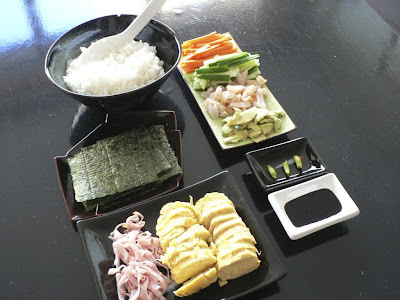 Just in case you want to try this at home, the key to good sushi is good sushi rice. I can't over-emphasise that!